My favorite thing about the club is the modern look on the traditional shape. The club looks like a sports car on the bottom with lots of fast-looking lines with a red tint. But at address, looking down the club is a simple solid black. For my taste, they could have added an alignment aid, but I am just nitpicking a little bit. I recommend this driver to mid and low handicappers. The club is forgiving but does provide some workability, and shot makers will appreciate it. 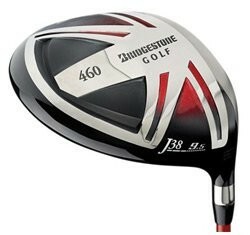 This isn't the best driver for those looking for lots of forgiveness and maximum distance. For the higher handicappers, I'd recommend something more game-improving like the Ping G15 or the Callaway Big Bertha Diablo. In fact, the Diablo has a draw version that will help you keep the ball going straight or turn it over for even more distance.